William Peach, born at Norton near Horsham in 1879 was a son of John Peach and Scot, Jessie Johnson and was one of six children. In 1893, when William was fourteen, his father John died. When old enough, William worked as a saddler and drover and by 1909 he was living at O’Callaghan Parade Horsham with his mother. On Sunday 11 April 1909, William was found on the premises of the Wimmera Hotel. He represented himself in court in with the Horsham Times describing him as a “bush lawyer”. William received a fine. The following year he was back in court. At the time, William was working as a drover for Andrew Watson. He took Watson to court to reclaim wages of thirty shillings but the case was dismissed. On 18 March 1915, William enlisted and was assigned to the 7th Platoon of the 24th Battalion, B company (below) and left Australia two months later for Egypt. 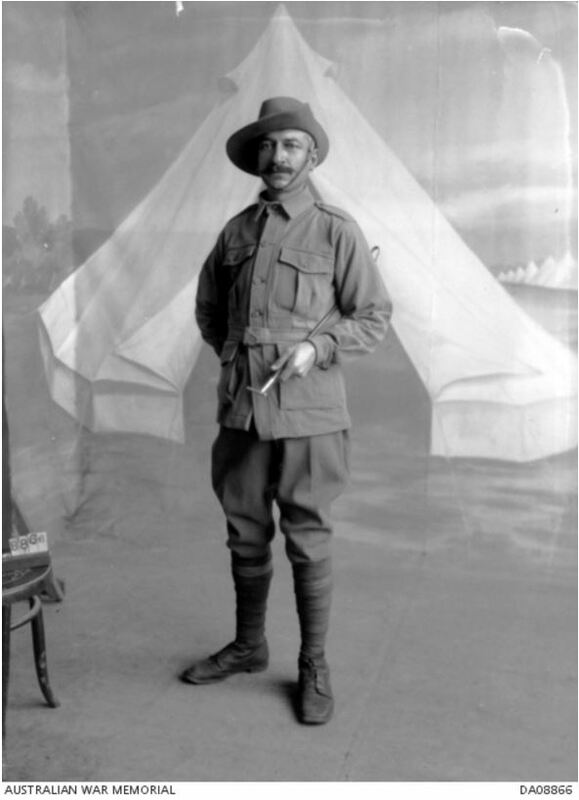 On 29 September 1915, William arrived at Gallipoli with 123 other reinforcements and took up position at Lone Pine. 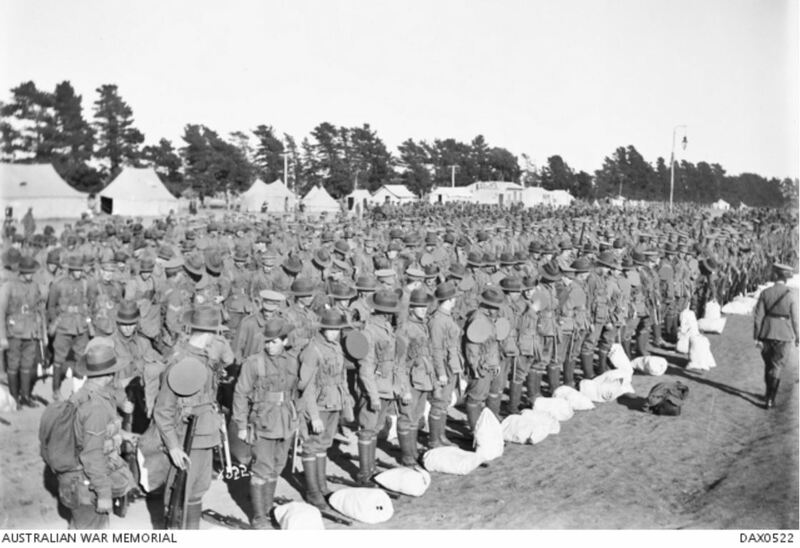 After three months, the 24th Battalion began evacuating from Gallipoli on 18 December and went to the island of Mudros. They arrived in Alexandria, Egypt on 10 January 1916. On 16 January while at Tel el Kebir, William was AWOL from reveille forfeiting five days pay and with six days confined to barracks. At 4.30 pm on 20 March, the 24th Battalion sailed from Alexandria arriving at Marseilles on 26 March 1916, before catching a train to Rebecq in Belgium. By the end of the month, they were at Fleurbaix, France. On 27 July 1916, the 24th Battalion arrived at Pozieres. William was wounded on 30 July with a gun shot wound to his hand. He was transported to a hospital at Camiers by ambulance train and then on to England. A month later in September, William went to Weymouth Convalescence Depot in Dorset. By November, William was posted to Wareham about thirty kilometres away where he was AWOL from parade after having already received a warning. For that misdemeanor, he received 168 hours detention and lost nine days pay. William didn’t rejoin the 24th Battalion in France until 18 June 1917, eleven months after leaving. They were then at Le Transloy in the country’s north. In July, the 24th Battalion were in Belgium and on 20 September, near Westhoek Ridge as part of the Battle of Menin Road. On that day and the next, the job of B Company of which William was part was to bury a communications cable from the Albert Redoubt to the Anzac Redoubt. The unit’s diary described it as “high pressure” work. Later on 21 September, B Company moved to take up position near Bellewaarde. It was about 10 or 11:00 pm and William was in a trench close to battalion headquarters. A shell hit burying those in the trench. Two men were recovered but three were dead including William. 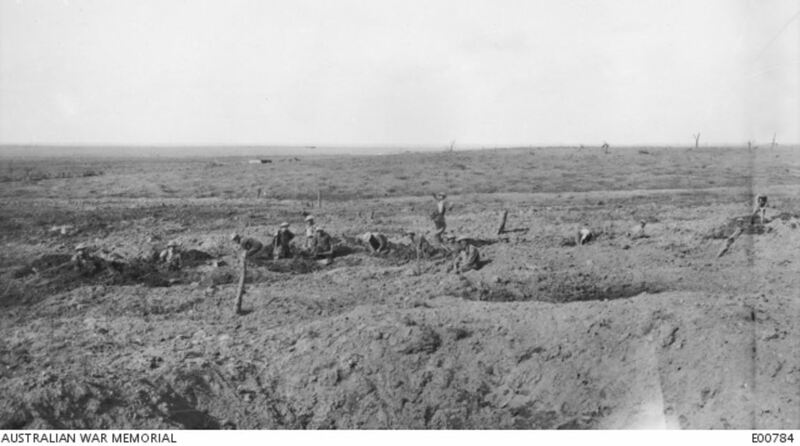 Their bodies remained buried overnight where they fell and buried the following day near the Anzac Redoubt, a captured German pillbox. William was later exhumed and buried at the Hooge Crater Cemetery. 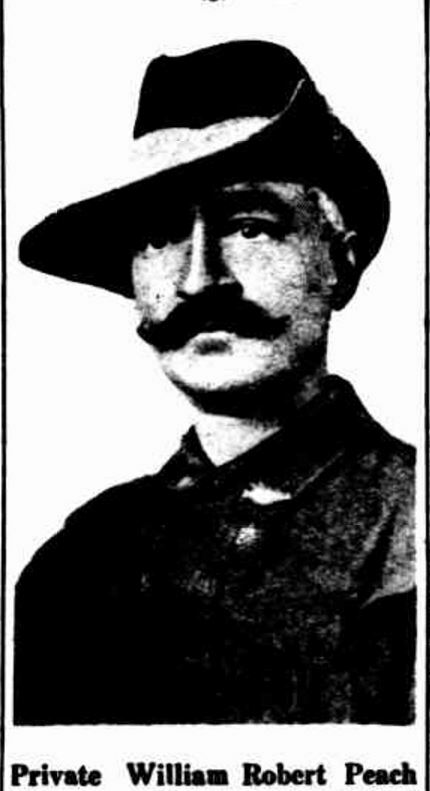 “Killed in Action” The Horsham Times (Vic. : 1882 – 1954) 16 November 1917: 5. Web. <http://nla.gov.au/nla.news-article72919169&gt;. William’s sister Mary Margaret Peach married George Emmett in 1908 and she and George lived on Penshurst Road, Hamilton. George Emmett worked for the railways. As a mark of respect, a tree was planted for William along Hamilton’s Anzac Avenue. His name is also on the Horsham War Memorial.